On the morning of our first full day in Ileret, we were fortunate enough to witness a revered local gathering: a post-wedding ceremony. Typically the day after a marriage family members, friends, and neighbors gather to socialize and enjoy a goat. 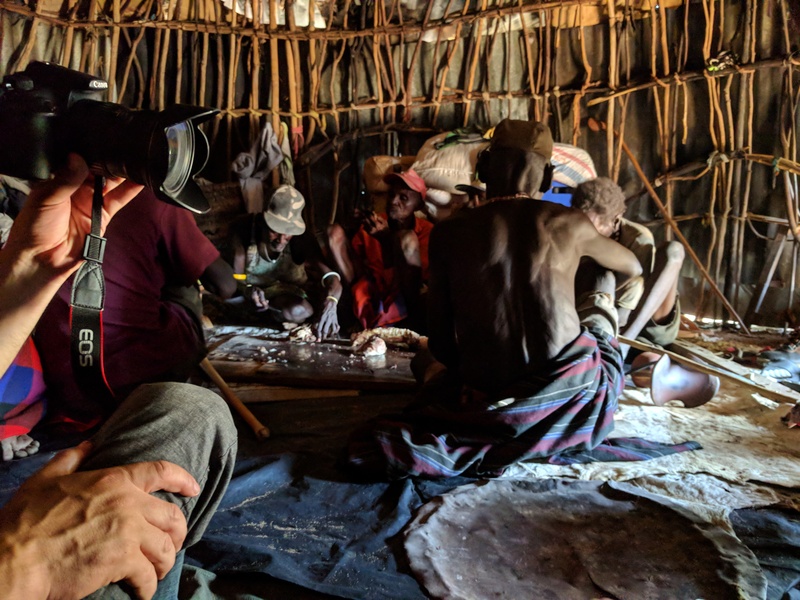 Men and women gather independently in huts like the one featured below, which is not unlike most homes that characterize Ileret, and our group split accordingly to immerse in the culture. Before the ceremony, Habara, who assisted us in communicating with locals, helped us understand more about everyday life, gender roles, and traditions that underpin Daasanach culture. We learned, for instance, that the Daasanach are divided into two groups that are distinguished by the colors of beads that they wear; individuals that wear differently colored beads cannot marry or participate in ceremonies together. It is also understood that women are responsible for practically all day-to-day tasks and for raising children. Just outside of the huts, more than a dozen children were running and playing, which we got to participate in. 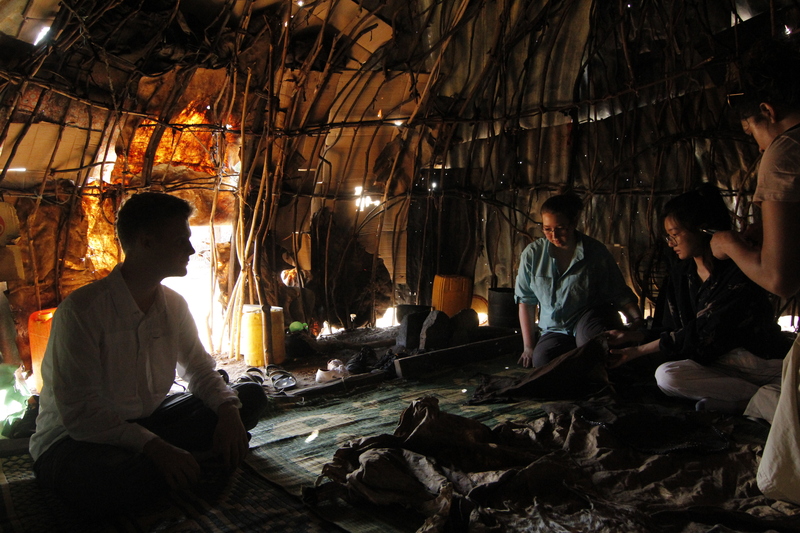 Students gather in a local hut. Daasanach men enjoying ceremonial goat. 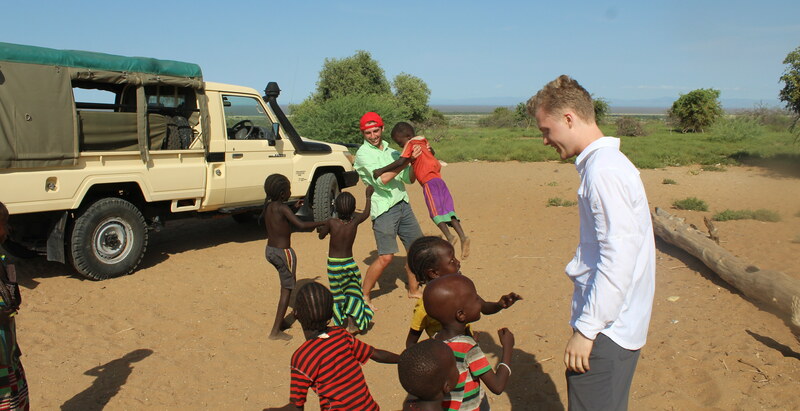 Joseph Kocaj (left) and Sam van der Poel (right) play with local children. After returning to TBI and enjoying lunch, we gathered as a group to talk about our observations and evaluations of the morning. There was plenty to discuss and we inevitably considered how the significant gender role disparities would impact the task of devising culture-sensitive solutions to problems that locals are experiencing. To top off the day, we checked out a small watermelon patch that TBI was experimenting with at the edge of the compound. In the next morning, we were ready to better understand and evaluate local problems that could be the subject of individual or group projects. 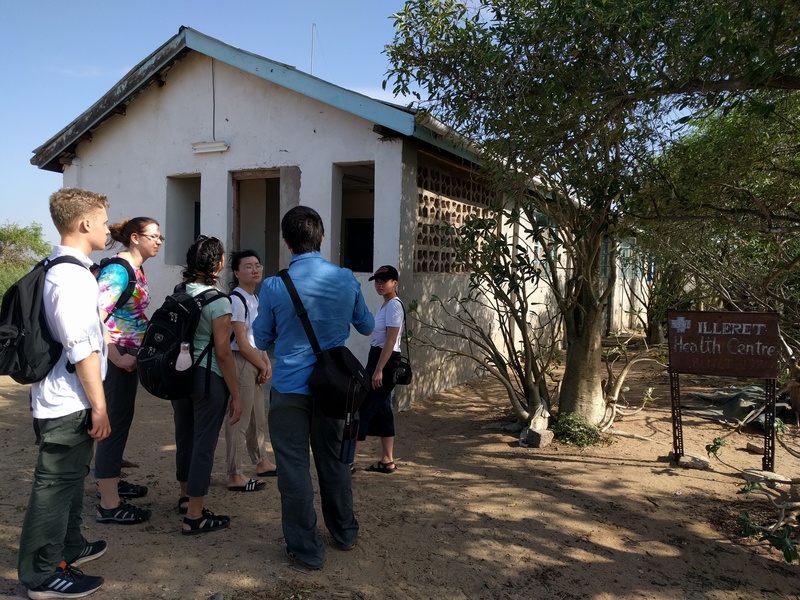 First we visited the local health center, which is led by the nurse Beatrice and was built by TBI, and discovered that there were three primary issues: a food storage building was sustaining a malignant bat infestation; the entire facility had a non-operational solar energy system installed; and the wastewater management system was malfunctioning. 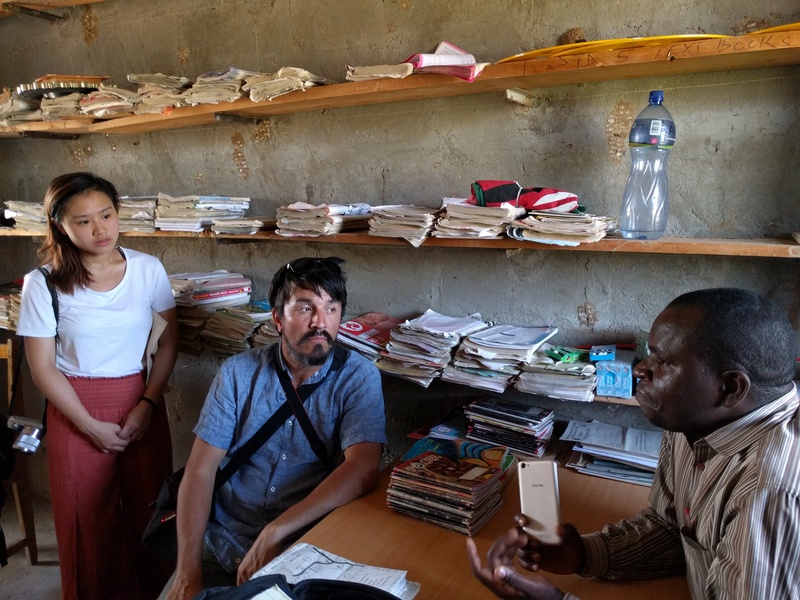 The Global Innovation crew tours Ileret’s health clinic. Rodrigo Peña explains a project to remove bats from the building shown which was initiated last summer. 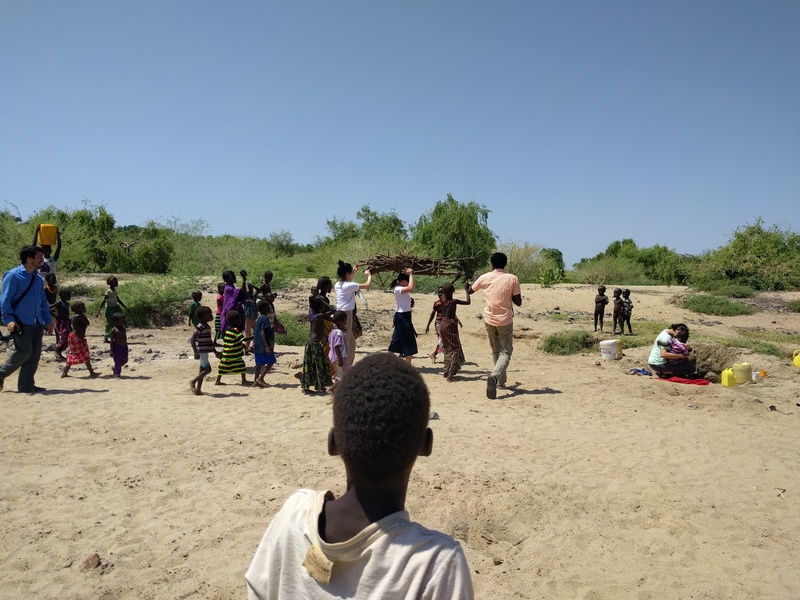 From the health center, we visited a riverbed that is the primary site of water retrieval for most locals. Women and children dig a hole by hand to manually fill 20 liter jugs, which lasts a family about one day. 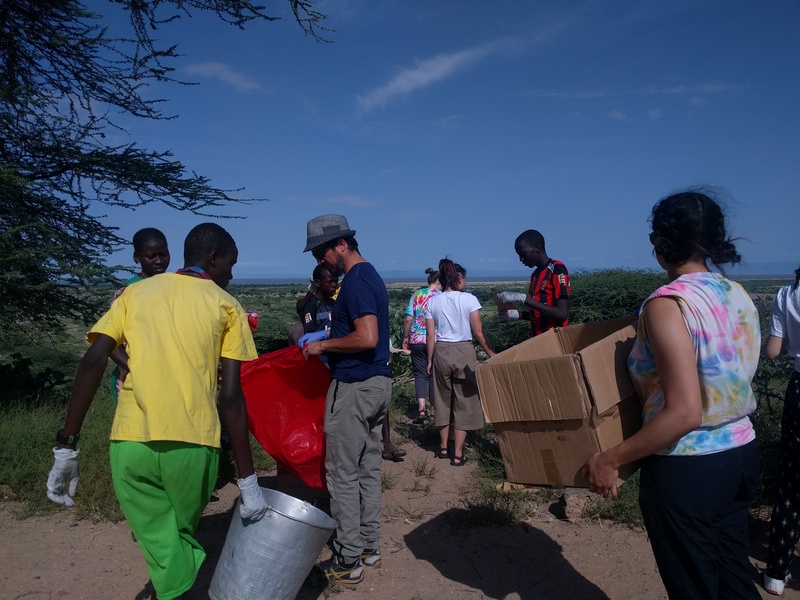 While noting issues throughout the water collection including transportation and the lack of a filtration process, we offered to help by digging, collecting, and transporting water with locals. 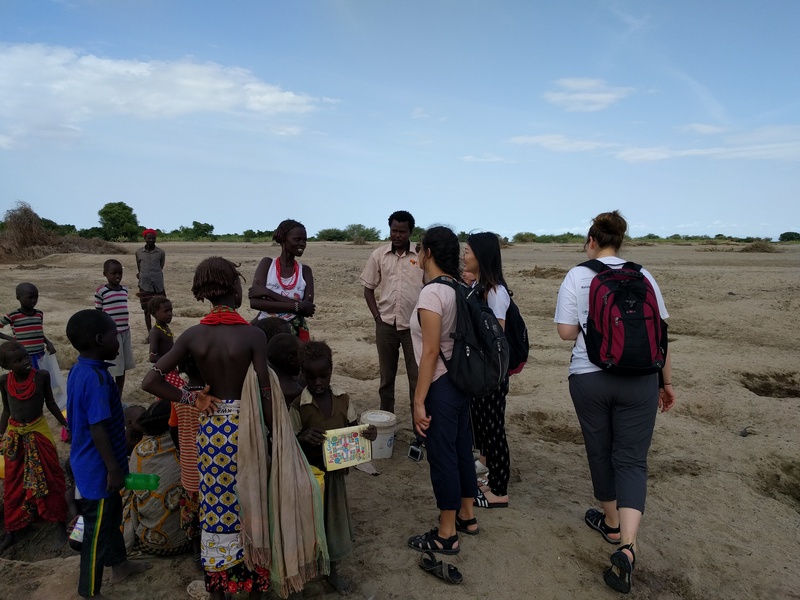 Konnie Xu (left) and Emily Aviles (right) participate in the Daasanach’s daily chore of fetching water. A Daasanach boy watches as the Global Innovation crew experiences life of the locals. Winnie Wang (left) and Konnie Xu (right) transport wood branches while Emily Aviles collects water. 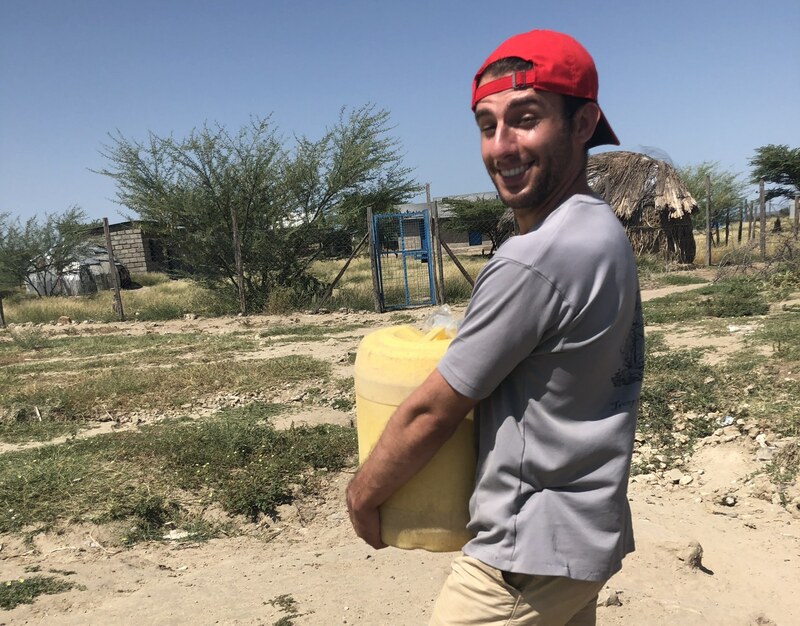 Joseph Kocaj smiles through the pain of carrying a water-filled jug roughly one and a half kilometers, occasionally switching off with Emily Aviles. 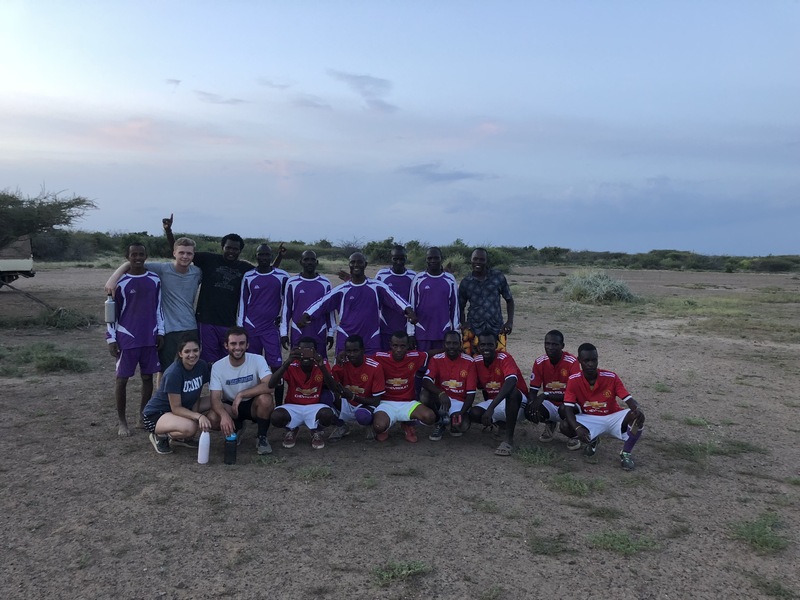 At the end of the day, the group gathered with Turkana Basin Institute (TBI) staff to play a game of soccer as the sun was setting. Group photo after a great soccer match. 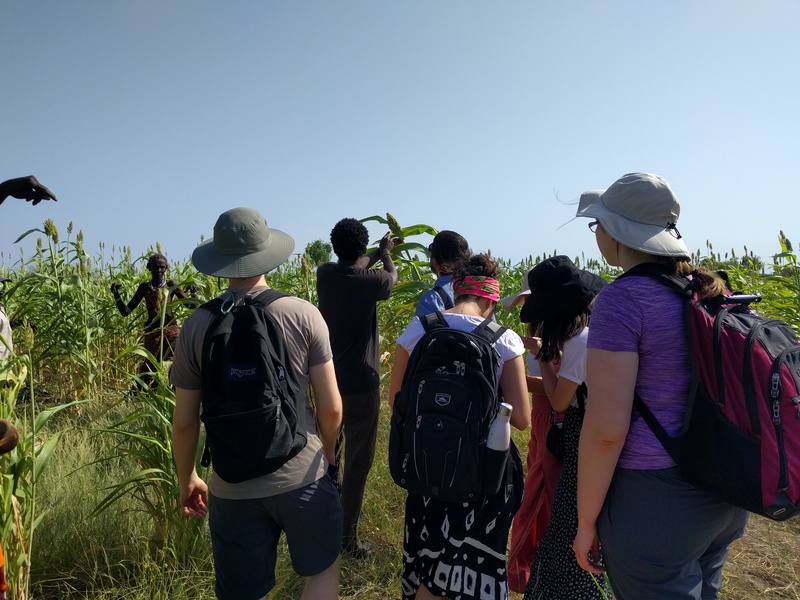 We visited a sorghum farm early the next day to better understand the way locals cultivate land and raise crops. Sorghum is a tall crop that is grown for its grain and sugary stem. Locally, its seeds are often bartered for other goods like goats. As we arrived three children were observed keeping watch; they are employed to ward off unwanted visitors like birds. 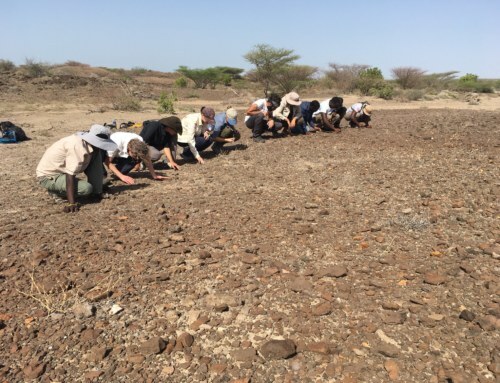 From the owners, we learned that, though the ground is fertile, their sorghum growth is limited by infrequent rainfall and a green pestilent insect. The owners also claimed that if their farm fails, the rest of the community becomes discouraged which is why farming is not prevalent. Habara introduces us to Sorghum. 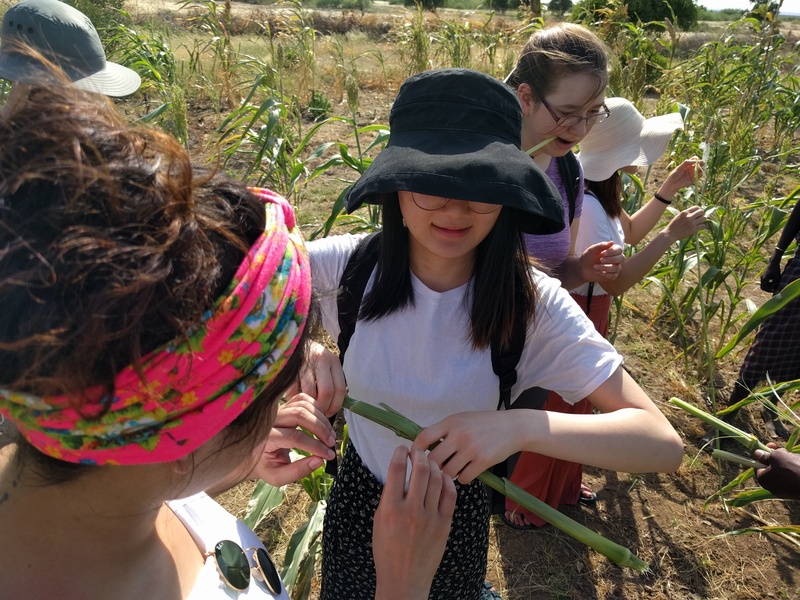 Emily Aviles, Winnie Wang, and Natalie Lubaszka (from left to right) taste the sweet sorghum stem. 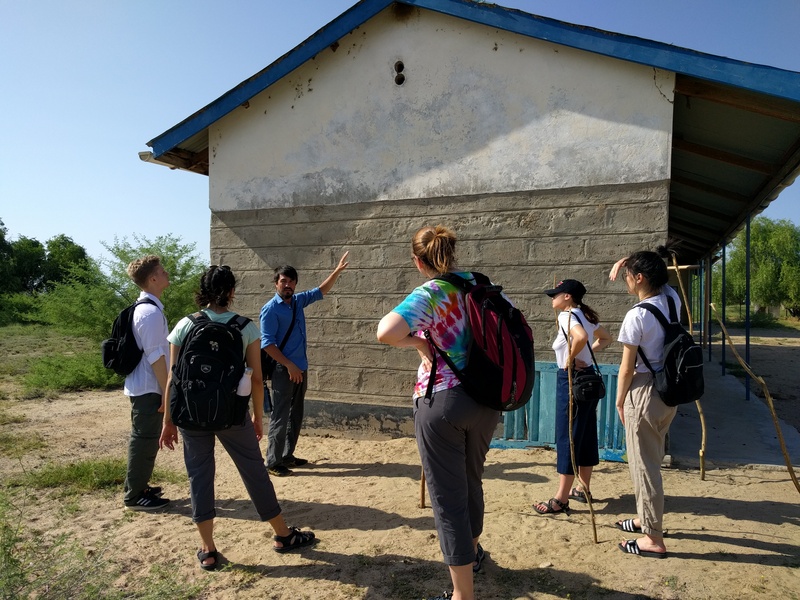 Following the sorghum farm, we made our way to the local school which educates students in a structure similar to grades one to eight in the western education system. Shem, the school’s deputy, explained that attendance is their most pertinent problem and depends solely on whether the school can provide its students with food supplied by the government. It was also understood that the school has a mostly malfunctioning solar energy system and that bathrooms, which do not contain soap, are rarely used by students. Shem explains Ileret’s schooling conditions. Winnie Wang and Emily Aviles: A water filtration system, similar to systems used in developed communities, composed of rocks and sand that are ordered in a portable container. This system will focus on filtering water collected from the riverbed seen above. Natalie Lubaszka and Konnie Xu: A tall, portable water pump and associated shovel-like tool for making the digging process more efficient. This project is focused on improving working conditions at the riverbed seen above. Sam van der Poel: A soap-making program that leverages two abundant resources, animal fat and wood ash, to produce soap through a chemical reaction called saponification. Furthermore, Professor Rodrigo Peña will be leading a project to eradicate the bat infestation in a storage building at the health clinic. Teaching Assistant Joseph Kocaj will be performing a feasibility study for TBI under the guidance of Rodrigo which focuses on pumping water out of an existing stormwater collection basin. Currently the vast amount of stormwater which is collected simply evaporates over time. 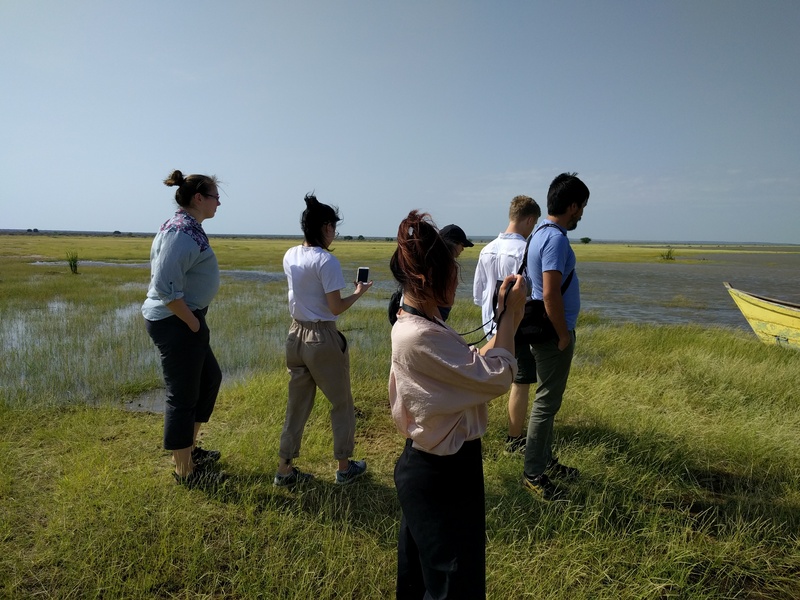 Thursday morning we headed out to several sites around Ileret’s town. The first of these sites was a windmill powered water pump. 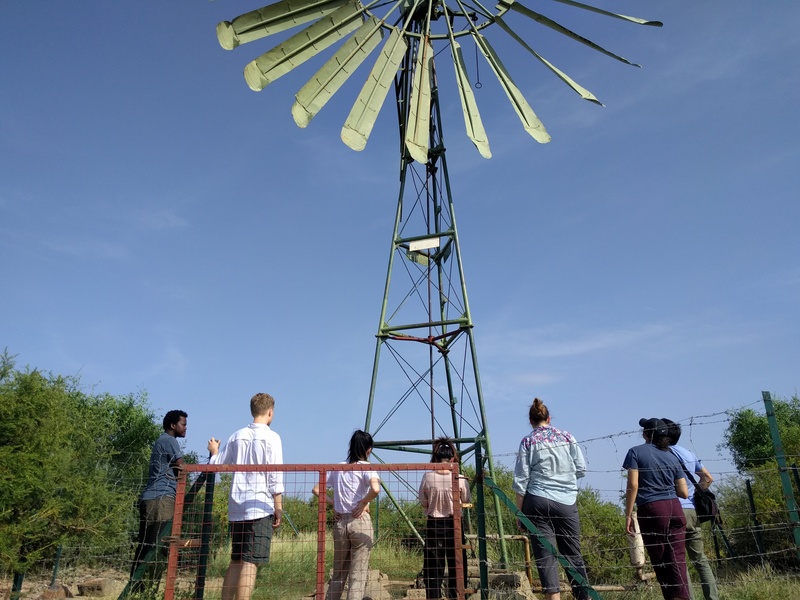 As Rodrigo explained the mechanics of the pump the students immediately took interest in this sustainable solution for delivering water around Ileret. Rodrigo continued to explain that the pump is lacking a filtration system which causes several particulates such as Fluoride to damage the piping system, and worse, harm anyone who drinks the water. A windmill pump is examined. 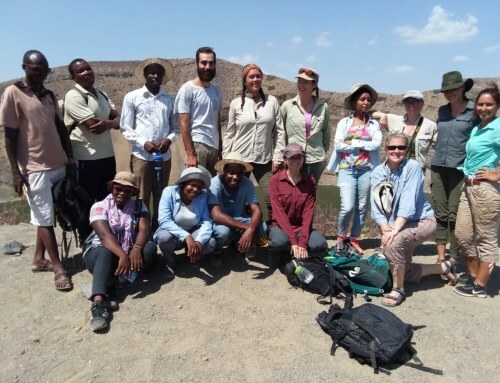 The crew quickly packed up and headed towards Lake Turkana which had only been viewed from the compounds of the Turkana Basin Institute (TBI) previously. We explored the area, played by the shore, and climbed into an abandoned boat. A beautiful flock of pelicans could be seen in the distance. 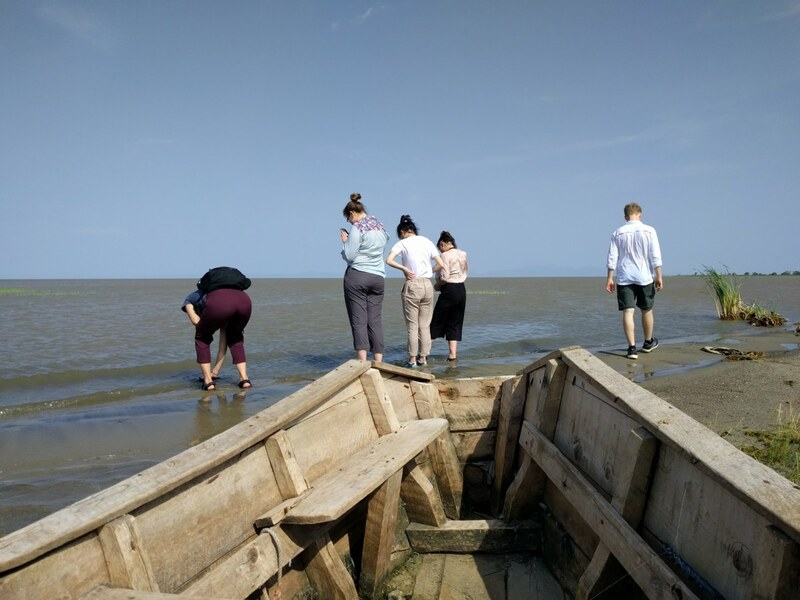 Students enjoying the shore of Lake Turkana. 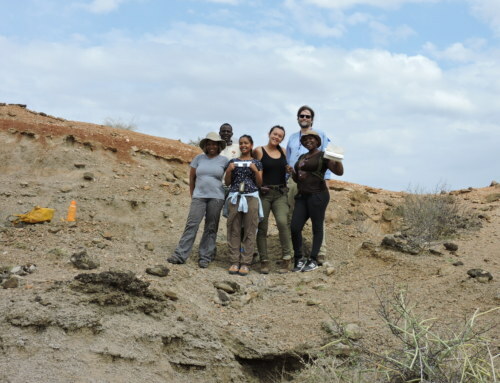 The gang exploring the shore of Lake Turkana. Once we soaked up enough of this area Losogo, our friend and the truck driver, drove us to our final stop, the slaughter house. Upon entering the building our faces immediately scrunched up. Hooks hung from the ceiling and butchering apparatuses were scattered. The local butcher gave us a quick tour and before we knew it we were on our way back to TBI. On the ride back we collectively agreed the slaughter house is a fantastic means of safely processing food for the community but we are in no rush to revisit the site. 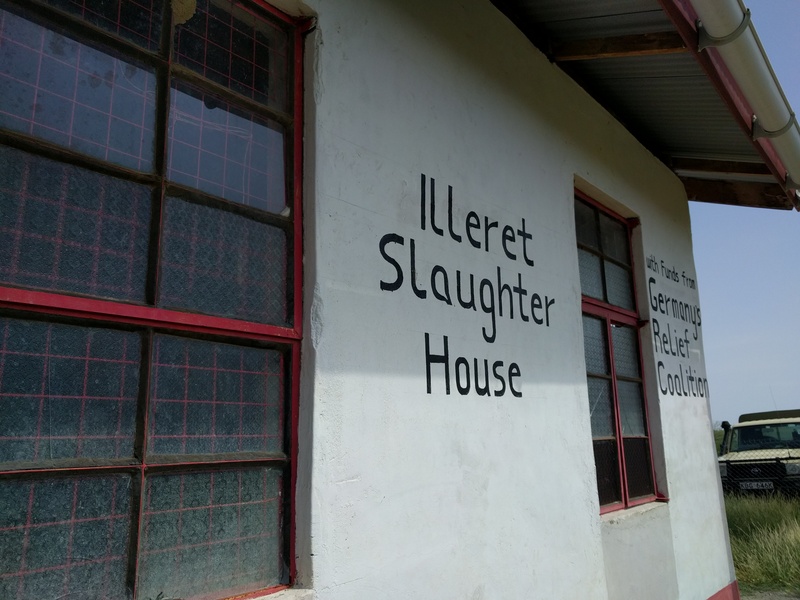 Outside of the slaughter house. Later the students progressed their project ideas and Thursday ended with another soccer game. Friday morning the students woke up eager to work on their short-term projects. Losogo picked us up after breakfast and our first stop was the riverbed. Emily Aviles and Winnie Wang asked several of the locals for their opinion on the water filtration system to be designed. The feedback was fantastic! All of them agreed that it would be wonderful having a filter, even if it requires the use of one of their buckets. Konnie Xu and Natalie Lubaszka similarly inquired thoughts on tools for digging holes in the riverbed and pumping water. Again, the feedback was extremely positive! Konnie, determined to design briquettes as a side project, also began to collect materials for that including vegetation and feces. Emily Aviles, Winnie Wang, and Natalie Lubaszka (from left to right) ask locals questions to progress their projects. 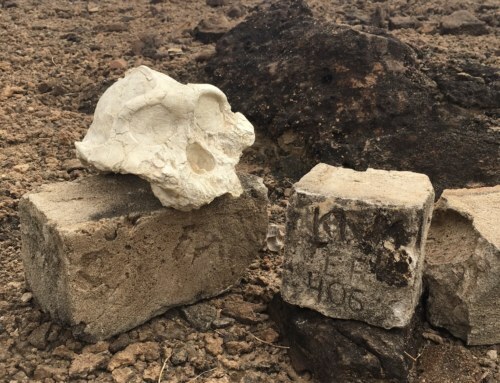 Next up, Sam van der Poel stopped at the school to ask Shem about implementing a lab which will teach students how to make soap by combining animal fats and certain ash from a fire. Shem agreed! Finally Rodrigo Peña stopped by the health clinic to ask several questions regarding the bat infestation project. Unfortunately Beatrice, the Head of the Health Clinic, was not around. Back at TBI we worked on progressing projects more. Konnie with the help of Rodrigo and Mutuku (TBI’s Camp Manager), worked on a tool to create briquettes. 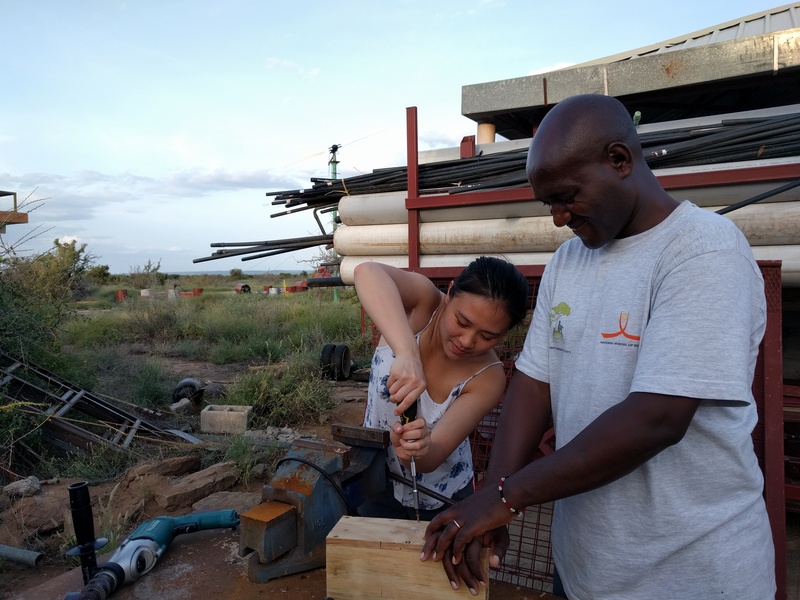 Mutuku (right) assists Konnie Xu (left) in making a briquette tool. Friday night the crew took a second to unwind and watch The Matrix. Saturday morning, feeling rejuvenated, we headed to the village center to collect trash around Ileret. 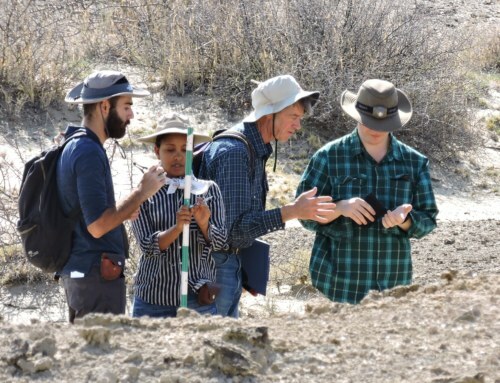 This program is a continuation of a project started last summer by students Jacob Marlin and Cheng-Wen Hsu. Raphael Elimlim lead the charge this Saturday while explaining that it being a holiday created an opportunity for high school students to join us. Youth are the backbone of this program. Plastics are burned along with paper, metals and glasses are simply buried, however, there is no collection system per household for trash. While there is room for improvement there is no denying that this program brings the community together for a chance to learn and improve their town. 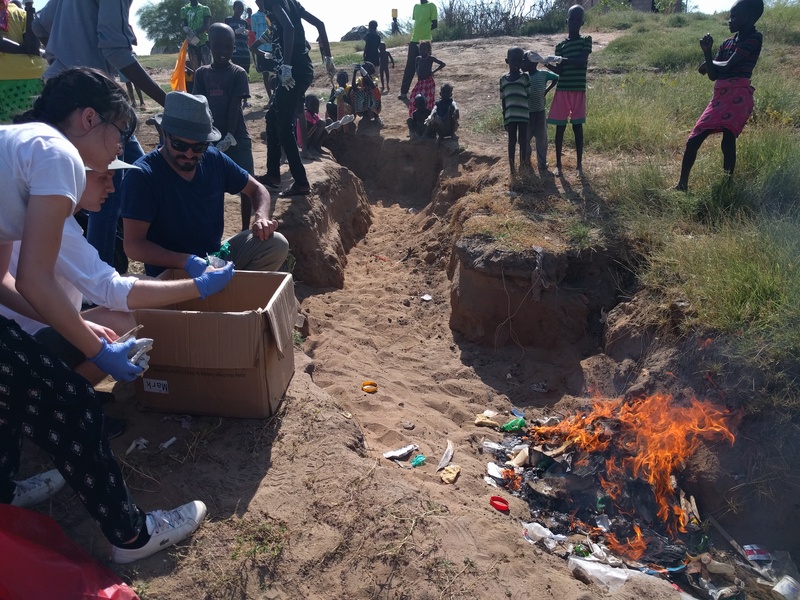 Winnie Wang, Sam van der Poel, and Rodrigo Peña aid in burning the trash. In the afternoon the students worked on their short-term projects a bit more. Saturday night we had a chance to experience a traditional Daassanach dance around a bonfire. 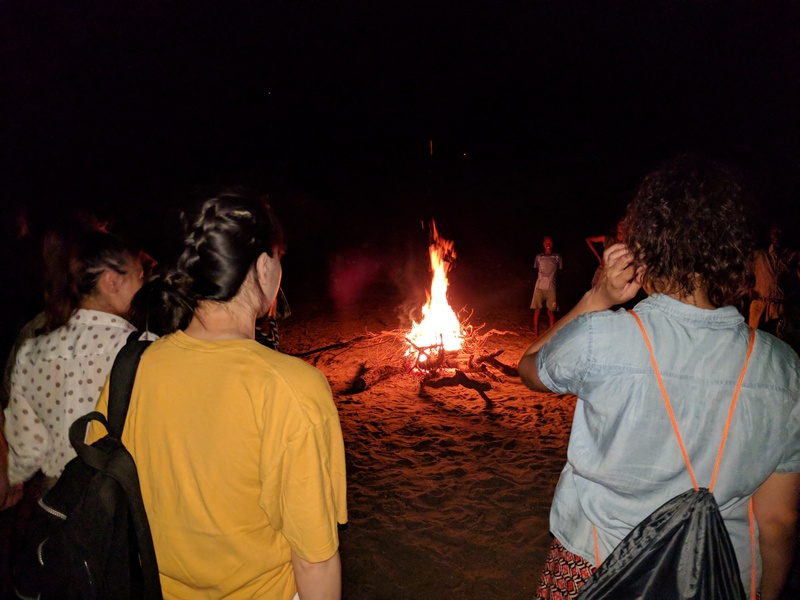 Konnie Xu, Winnie Wang, and Emily Aviles (from left to right) gather around the bonfire. Sunday the Global Innovation crew took a chance to work on assignments and relax before another exciting week in Ileret! 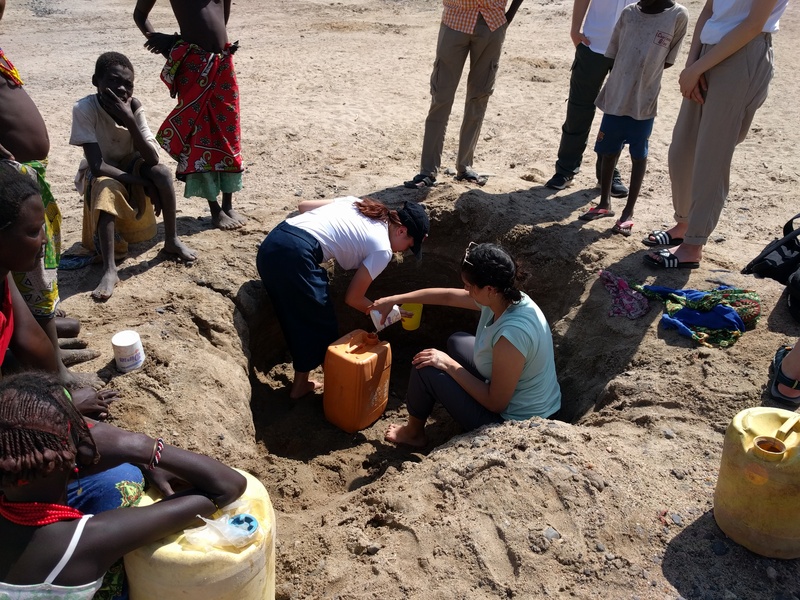 By the end of the week Emily and Winnie had collected soil consisting of different grain sizes for their filter and water from the riverbed to test. They planned out the filter’s container dimensions and construction specifications for the filter and are ready to put it together next week. Sam put in the order for animal fat to create soap and our friend, Habara, confirmed that Sam will have it some time next week. The saponification process has been planned out and Sam is ready to test it as soon as the fat arrives. Natalie and Konnie gathered materials to construct their excavation tool and pump while planning out dimensions to prepare themselves for construction of the tools next week. With much of the planning done, it’s time to get our hands dirty!